Joan is one of our longest serving members, having joined ACOP in 1996. 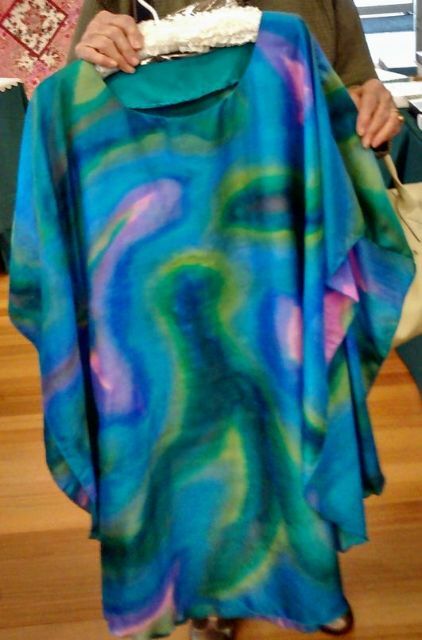 Her craft is hand-painted silk. 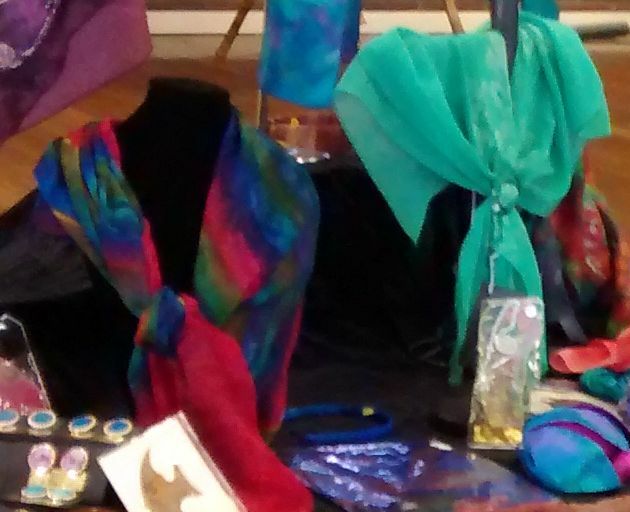 She makes her silk printed fabrics into a range of clothing, including scarves, kaftans, shawls and hats. Her hats are both stylish and practical. 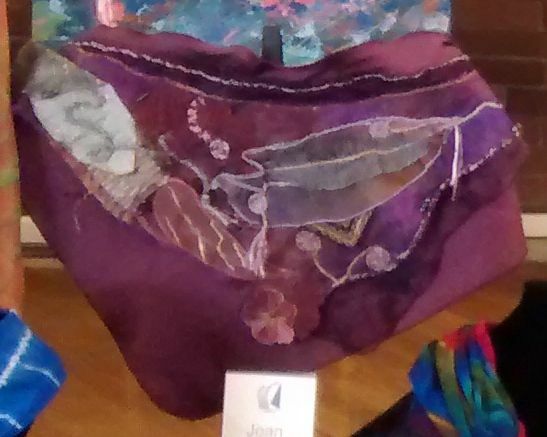 The vibrant range of colours in Joan's silk fabrics always makes her table a treasure trove of colour at ACOP's exhibitions.